If you are planning to go backpacking during those hotter months, you may need a type of footwear that will keep your feet cool but at the same time be comfy and not trigger achy feet or blisters after walking long hours. In that case, a pair of flip flops for backpacking can be a good option, but you will have to go for a product that has some important features. 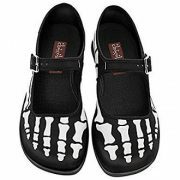 First, look for an anatomical foot bed with some arch support which is comfy and absorbs shock. Also, you may want the outsole to be stable and non-skid to prevent slipping. 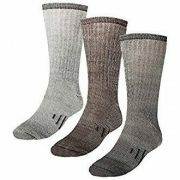 The material used for the upper as well as the foot bed should be of good quality and breathable so it does not cause unpleasant odor to your feet after sweating and it should also dry fast in case your feet get wet. Some flip flops may be fully waterproof as well, so you need to think if you need your flip flop to be waterproof or not. Another important feature for a good flip flop for backpackers is its weight since you may most probably want a product that is as lightweight as possible. 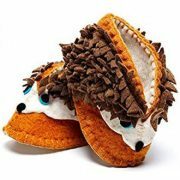 You will also need an easy slip on style flip flop. With all the above criteria in mind, here we have selected to review some of the best flip flops for backpacking for men and women. This Skechers flip flop for men has some great features that can make it suitable for your backpacking trip. The yoga mat foot bed features high-rebound cushioning and it is textured while the rubber outsole is rugged and sturdy. Also, the lining is made from soft fabric. Users love this thong sandal because it feels really comfortable providing relief even to hurting feet and there is enough cushion and support to walk long hours. They also say that it is great value for the money and wish the company never stopped creating this flip flop. Users describe this Vionic Unisex Wave Toe Post Sandal as a pain free walking shoe that prevents foot, heel and back pain, providing great heel and arch support. When it comes to the product features, it has a build-up arch, a flexible and lightweight cushy EVA midsole that absorbs sock and a TPR outsole that improves traction. The upper is webbed mesh with padded and soft liner. 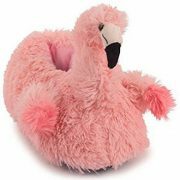 Users with high arches love this quality flip flop sandal but also people with foot issues such as foot pronation or Plantar Fasciitis review that it really offers relief. It is also reviewed very positively by people who are on their feet all day long such as cooks or hair stylists. 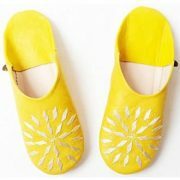 It is said to keep feet properly aligned and people wear it when hiking or going for long walks. 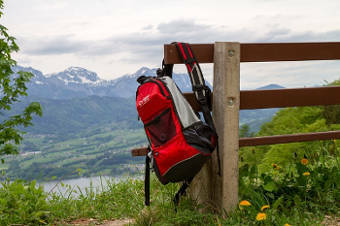 In addition, it is durable and does not lose its support and comfort even after years of regular use, which makes it perfect for backpackers. Finally, it is very easy to clean with a damp cloth. This Reef flip flop style sandal for women has many features that can prove to be very handy for backpacking trips such as arch support, a heel air bag and even a built into the foot bed bottle opener! 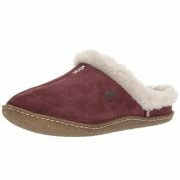 In addition, the foot bed is molded EVA and the upper is synthetic nubuck with padded liner. The heel measures 1.25″ and the platform 0.5 inches while the outsole is rubber. Another useful feature for backpackers’ use is that this is a water friendly flip flop. 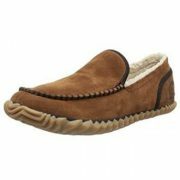 Users love this footwear because it is very comfy and has good support. 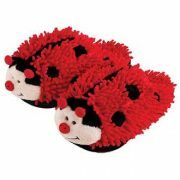 They also like the fact that the feet don’t slide or slip even if the sandal is wet. Besides, the wide strap feels comfy. Finally, people review that this flip flop works great for hikes and long walks. Although this Skechers Men’s Bosnia Flip-Flop has some features that can be appreciated if you are planning to use them on a backpack trip such as a memory foam foot bed that is sock absorbing and a traction outsole that is rubber and flexible, some users have reviewed that the fabric that covers the foot bed is a bit thin and not durable enough. Nevertheless, people say that this canvas strap flip flop is very comfy as well as sturdy. It has a grippy outsole and good support. These Teva flip flops for women feature polyester webbing that is water friendly, durable and fast drying as well as a lightweight EVA foam sole that forms to your foot and provides cushiony support. Apart from the thong strap, the two additional cross straps keep the shoe safely on the foot. 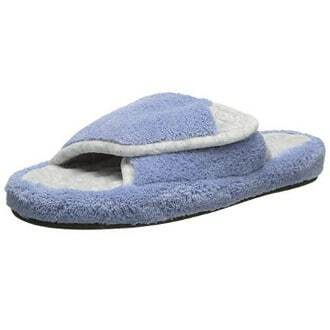 These cushy flip flop sandals come in a really big selection of different colors. 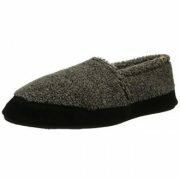 People love wearing them for long hours without any discomfort and they review that they are sturdy and long lasting. 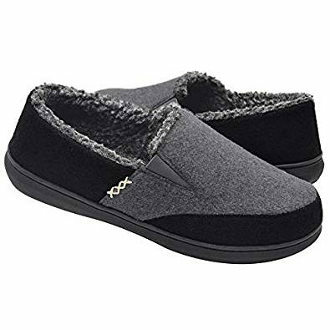 According to users’ reviews, these are great walking sandals which mold to the feet and provide good support even for people with high arches. They are squishy and require no or little break in period. Finally, they are well made, stay on the foot well, and do not seem to irritate people with foot issues such as plantar fasciitis. These Sketchers Women’s Flip Flops provide some great features for backpackers. They are radically lightweight and are enhanced with responsive cushioning and a yoga max energy foot bed. The upper and the lining are both made from soft fabric. Users like the fact that these lightweight flip flop sandals have good support and are super comfy even for people who are dealing with pain in their foot and knees. Some people have even said that wearing them feels like walking on clouds. 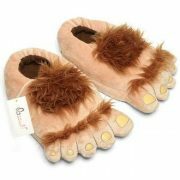 In addition, they are suitable for people with high arches and the cushiony sole molds to the shape of the foot. Besides, the yoga mat insole feels soft. This Vionic Orthaheel men’s flip flop sandal features build-in support, a lightweight and flexible EVA midsole of medium density to absorb shock, a durable upper and a TPR outsole that provides good traction. Vionic footwear is clinically shown to relieve plantar fasciitis discomfort as well as foot, heel and knee pain. 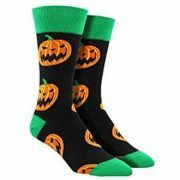 Nevertheless, some users have found that this supportive footwear is not durable enough and a bit heavy for some people’s taste. These sporty flip flop sandals feature a webbing toe post, a gel-infused memory foam foot bed and a flexible rubber outsole. Most users review that these are great walking shoes and like the fact that they provide relief to painful feet. 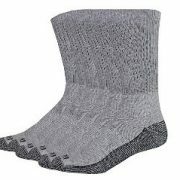 They are also good for sensitive feet since the fabric of the foot bed is very soft. Also, the strap is sturdy and comfy. Overall, people say that these flip flops are cushiony and comfy although there have been few reviews by people saying that they could do with a bit more support. At first sight, these anatomical Crocs flip flops may seem too bulky for a backpack but they are lightweight, comfy and odor-resistant. The outsoles are anti-slip while the massaging foot bed is very soft with an overall durable construction that won’t disappoint you if you are heading for a backpack trip. Users review that these are perfect for walking long hours, preventing knee pain. 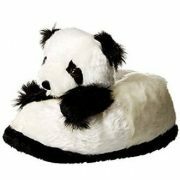 The foot bed is very comfy and they have satisfactory level of support. They are also lightweight and dry fast. This Crocs unisex flip flop is lightweight, flexible, soft and supportive made from material that is shock-absorbing. If you want a good quality, comfy and waterproof flip flop that you can use anywhere, this is a good option. In addition, it doesn’t slip or smell and always looks like new. Nevertheless, this may not be the right shoe for hiking. These Unisex ergonomic flip flops have some good features that you may want to think about if you are looking for a pair of backpacking flip flops. 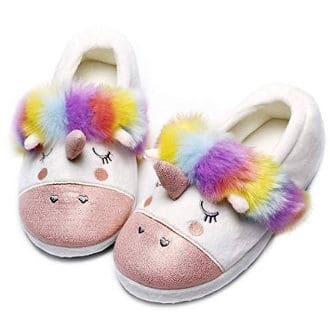 They feature an ergonomic sole that provides ball and heel support, cushioned arch support, a non-skid outsole and a textured foot bed that is breathable and offers some grip when the feet are wet. These flip flops are waterproof, lightweight and machine washable. The protector tunes of the thong are removable. 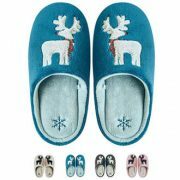 Half sizes are available and it is also suggested that since this is a unisex footwear, it may not be a good fit for women who have narrow feet. All in all, if you are looking for a good quality, comfy, supportive and lightweight flip flop for your backpacking trip, the best flip flops for backpacking for men and women in this review should have helped you find some great options to make your backpacking experience even more enjoyable and memorable.